On April 21, complex coordinated suicide attacks targeted several churches and Western hotels in Sri Lanka, resulting in at least 290 deaths and more than 500 injuries. At this time, the incident remains under investigation and no group has claimed responsibility for the attacks. However, police arrested at least 24 people, and the Sri Lankan government believes the Nations Thawahid Jaman group conducted the attack with assistance from international terrorist groups. Additionally, Sri Lankan authorities temporarily blocked popular social media sites and apps, including WhatsApp and Facebook, to prevent the spread of disinformation. There were 32 domestic terrorist attacks, disrupted plots, threats of violence, and weapons stockpiling by individuals with a radical political or social agenda who lack direction or influence from foreign terrorist organizations in 2018. NJOHSP defines domestic terrorism as violence committed by individuals or groups—including anti-government, race-based, religious, and single-issue extremist ideologies—associated primarily with US-based movements. AQIS’s threat to New Jersey is low, as the group lacks the capability to direct attacks against the United States and continues to focus operations on regional issues and joining forces with the Taliban in Afghanistan. In 2018, there were eight attacks and plots in the United States, and nine other instances involving material support or other related offenses nationwide. Like colors indicate individuals who acted in coordination, and a white box signifies individuals who acted independently. Al-Shabaab’s threat to New Jersey is low, as the group lacks the capability to direct attacks against the United States and continues to focus operations in Africa. AQAP has demonstrated the intent and capability to act outside its primary area of operations in Yemen and has attempted to strike the United States on three occasions since 2009. The group failed to release its English-language magazine, Inspire, in 2018, the first year without an issue since the publication’s inception in 2009. Al-Qa’ida will continue to serve as the network’s religious authority and offer followers strategic guidance, but will continue to rely on its affiliates to execute attacks against the West. The group lacks the presence and capability to attack the United States or New Jersey. On March 15, a 28-year-old Australian male, identified as Brenton Tarrant, opened fire on worshipers at the Masjid Al Noor mosque and Linwood Masjid mosque in Christchurch, New Zealand, resulting in at least 49 deaths and 48 injuries. Tarrant, a suspected white supremacist extremist, and two other alleged associates are in police custody while the incident remains under investigation. White supremacist extremists in New Jersey are actively spreading their ideologies, attempting to intimidate minorities, and committing low-level crimes. In 2018, at least six different white supremacist extremist organizations were actively operating in New Jersey. Sovereign citizen extremists in New Jersey often rely on “paper terrorism,” such as filing fraudulent liens against public officials or self-identifying in court paperwork, but can resort to violence when challenged by law enforcement. In May 2016, legislation in New Jersey enhanced penalties associated with the filing of fraudulent liens to retaliate against public officials. Sovereign citizens have since adopted new methods to circumvent the law. There is currently a limited amount of militia extremist activity within New Jersey; however, militia extremists continue to participate in violent protests across the United States and threaten Muslim populations throughout the region. ISIS West Africa’s tactical successes and support in Nigeria have given the group the ability to expand its influence throughout the Sahel in the coming months, threatening US economic interests in the region, including direct investment opportunities. ISIS West Africa, formed in 2016 following a split with Boko Haram, operates primarily in Nigeria and the Lake Chad region and maintains an estimated 5,000 fighters, according to open-source reporting. The terror threat from ISIS to New Jersey is moderate due to the group’s ability to inspire homegrown violent extremists (HVEs) to conduct attacks in the State and surrounding region on behalf of the organization. Since 2015, ISIS has inspired nine attacks by HVEs in the region. Anarchist extremists will mobilize in response to issues they believe are unjust, carry out criminal and violent acts during otherwise First Amendment-protected events and protests, and target perceived enemies. Throughout 2018, anarchist extremists were actively engaged in criminal activities in the tri-state region, resulting in at least 20 arrests. HVEs pose the greatest threat to New Jersey due to their presence in the United States, ability to conduct and plot attacks using simple methods, and susceptibility to online terrorist propaganda. An NJOHSP review has identified at least 179 HVEs between 2015-18, with 34 arrested in New Jersey, New York, and Pennsylvania for conducting attacks, organizing plots, and providing material support to foreign terrorist groups, namely ISIS and al-Qa’ida. 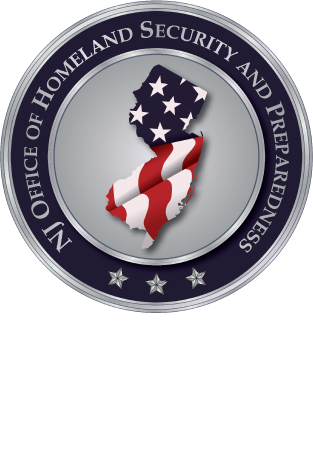 The 2019 Terrorism Threat Assessment is designed to give our customers an understanding of the terrorist threat to New Jersey this year. As we continue into 2019, NJOHSP will build upon this assessment through briefings, written products, and webinars to provide analysis that is relevant, timely, accurate, and insightful. Historically, white supremacist extremists have leveraged alternative social media platforms to espouse their ideologies, interact with like-minded individuals online, and attempt to radicalize others. On October 27, Robert Bowers, a suspected white supremacist extremist who espoused anti-Semitic comments online, shot and killed 11 people and injured six at a synagogue in Pittsburgh. Al-Qa’ida released a video on September 11 of a 30-minute speech with English subtitles called “How to Confront America” through its as-Sahab Media Foundation commemorating the 17th anniversary of the attacks on the United States on September 11, 2001. In the 14-point speech, al-Qa’ida’s leader, Ayman al-Zawahiri, called for Muslim brothers worldwide to wage jihad against the United States, specifically in the Islamic Maghreb and the Sahara, the Sahel, and West Africa.